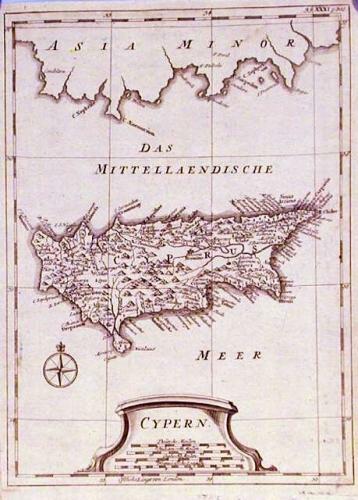 A scarce map of the island of Cyprus based on Pococke's map of 1754. The bottom third of the left blank margin has been repaired where it was originally cut to fold into the book. The map has also been professionally deacidified and pressed. Folds as given.